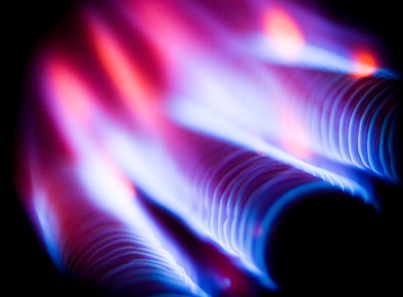 Natural gas exchange traded funds, such as the United States Natural Gas Fund (NYSEArca: UNG) and the iPath Bloomberg Natural Gas Subindex Total Return ETN (NYSEArca: GAZ), have recently shown signs of pulling back. There are some fundamental reasons for that and investors should acknowledge as much before considering long position in the commodity or the aforementioned exchange traded products. Gas prices previously hit an 18-year low after tepid winter demand. Natgas also typically hits a seasonal low with spring’s mild temperatures before warmer weather raises demand in gas-fired electricity generation for air conditioning. On the supply side, observers anticipate output to dip from near-record levels as the low prices force producers to shut down rigs and slow their work. The supply outlook is already diminishing as the number of working rigs has recently dropped to historic lows. “Money managers cut their net-long position in gas contracts for the first time in six weeks, just before futures capped the biggest weekly decline since March. Long wagers slipped 2.5 percent in the week ended July 5 while bearish bets also fell, according to U.S. Commodity Futures Trading Commission data,” reports Christine Buurma for Bloomberg. Previously, natural gas market observers expected output to dip from near-record levels as the low prices force producers to shut down rigs and slow their work. However, data suggest rig counts are rising. Making matters more problematic for natural gas ETFs is the fact that the third quarter is often a rough period for natural gas prices.